By...Swed,Dk Ch. Play A While Nokia x Skyborne The Room Of My Life. D.O.B 21/04/2014. "Flame" arrived here in August 2014..she is the most wonderful little girl & we are eternally grateful to her breeder Liane Bertlich for allowing her to join our little pack. By...Ger Ch. 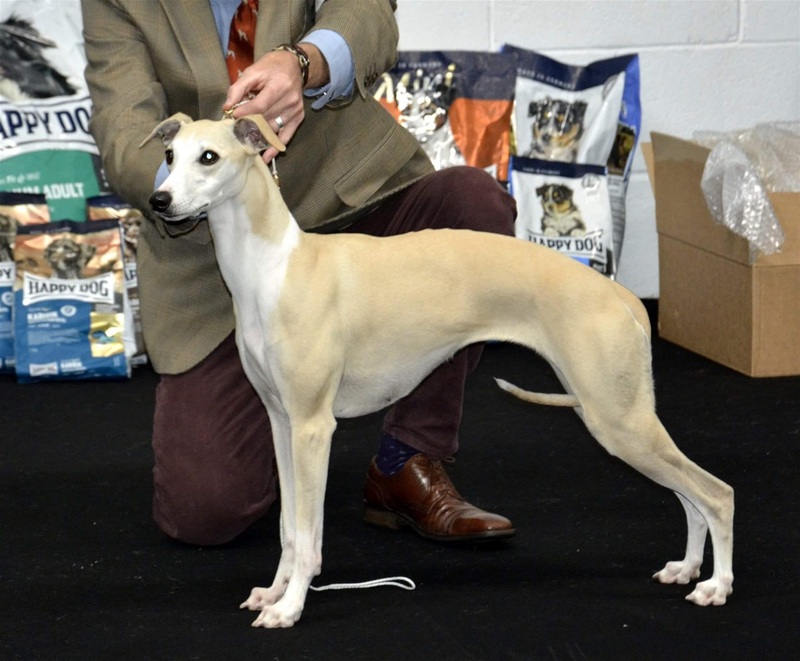 Shalfleet Silken Shadow x Int,Itl Ch. Funny Lady Of Gentle Mind (IMP Deu) D.O.B 19/09/2010. 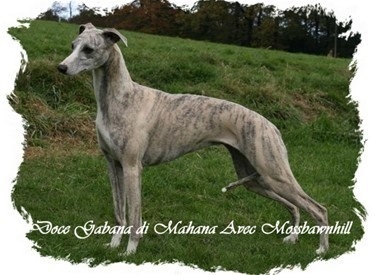 "Ocean" arrived in Oct 2011,many thanks to his breeders Annalisa Rovani & Arnaldo Cotugna for allowing this very sweet lad to come & live with us.He is the sire of "Tawny's" litter born in July 2014. Berri finally arrived with us in March 09.Many thanks goes to Joachim and Werner (Gentle Mind Kennel Germany) for looking after her so well for us until she was able to come over here and also to Stephy for letting us have this wonderful girl in the first place,we are very grateful. 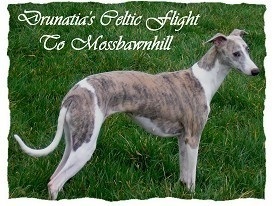 She came in to us in whelp to "Diego" Multi Ch. Sol Y Sombra Jour De Soleil (IMP SA) & produced a super litter in April 09. 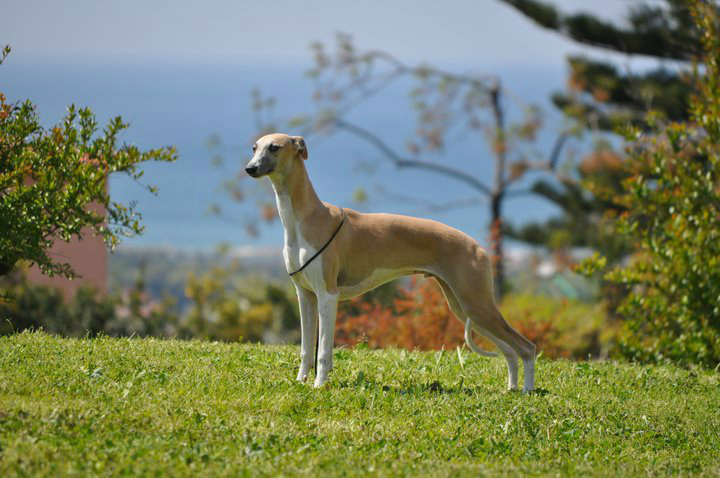 By...Multi Int Ch Bohem Time Flies (IMP US) x Un Rien T'Habille du Sac a Malices (IMP Fr) D.O.B 30/04/06 I flew out in April 07 to Switzerland and brought back this beautiful young lady,she incorporates some of the best Whippet lines in America including...Bohem,Chelsea and Paris.We are very grateful to Daniela Zingg-Bucher for entrusting us with Rush.She was bred to "Badger" & is the dam of our third litter born Jan 2008.